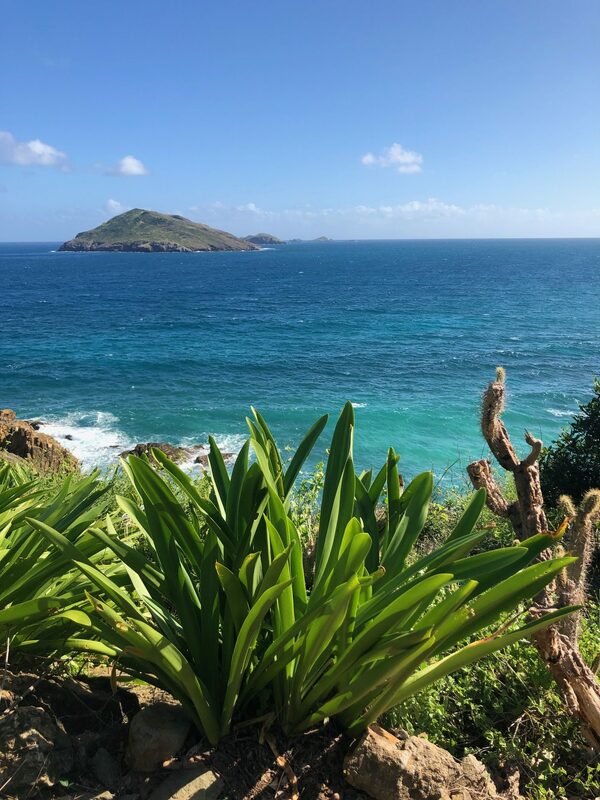 Last week our family spent the holiday weekend on the French island of St. Barths. It was the first time I had visited the island since Hurricane Irma and I was so impressed at how quickly the island was rebuilt. 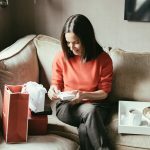 Save for a few hotels, it was back to business – or holiday – as usual. 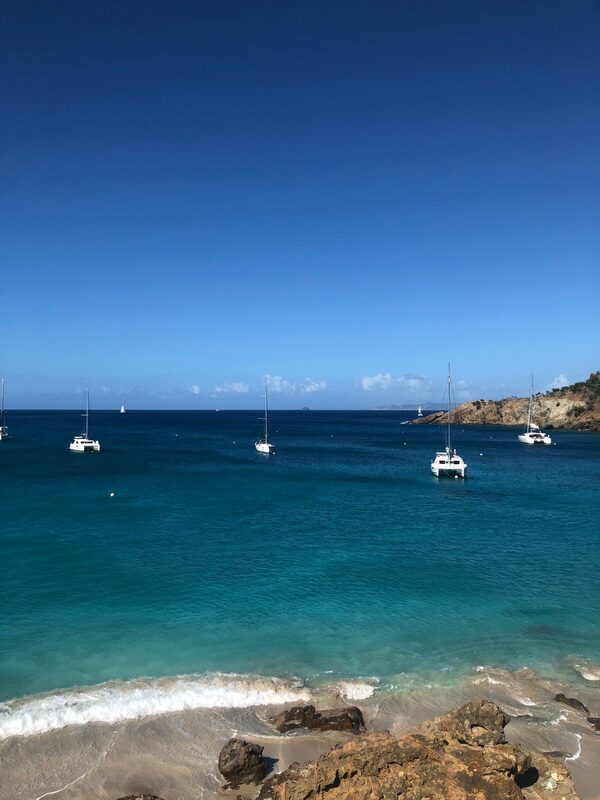 St. Barths feels like a home a way from home as I vacationed here with my family as a child, and I love that I am privileged to return here as an adult to make memories with my own children. This year was particularly special because I celebrated my birthday on the island surrounded by family at this most gorgeous setting. 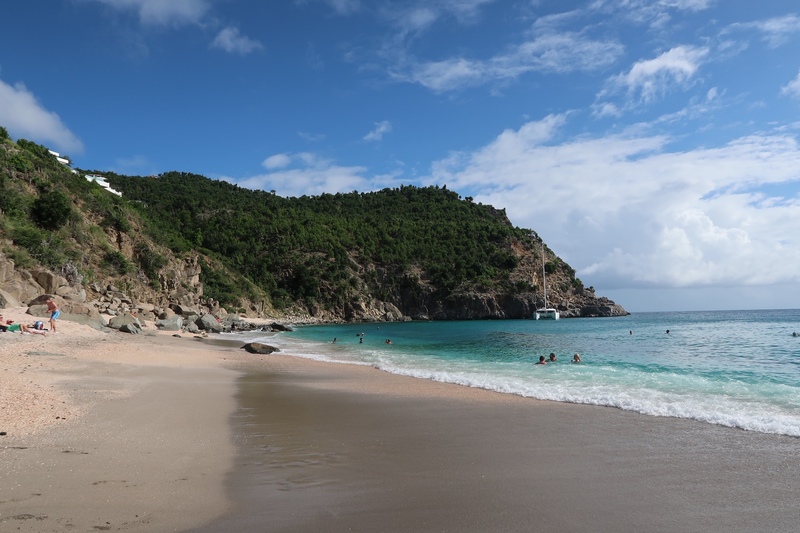 I truly believe there is no chicer island in the Caribbean than St. Barths. We stayed at the Le Barthelemy Hotel which is located on the Grand Cul de Sac. The hotel has a boutique vibe and the decor is sleek and modern – lots of white and turquoise – reminiscent of sand and sea, mixed with teak. The rooms are spacious, impeccably clean, and with enough closet space to accommodate my well overpacked suitcase. The staff is super friendly, professional and truly aim to please. The beach is a bit narrow but the clear blue waters and views more than make up for it (it also makes for shorter runs to the ladies room). There is no shortage of bars -indoor, out door, and a newly added chic roof top. Their La Mer Spa is serene and a perfect way to end the day. I began each day with a one hour hike with my daughters leading to Columbier Beach. It was a treat to start off my day with some uninterrupted girl time. The views of mountains and sea were breathtaking and the workout was challenging enough to justify eating a Tarte Tropeziénne or chocolate croissants afterwards – well to be honest, it wasn’t justifiable but damn it was good and I enjoyed it! Sadly, I couldn’t help notice the damaged vegetation from the hurricane. If you want to up your cardio, take the dirt path to your left, located before you reach full view of the beach. After our hike, we stopped off at Le Petit Columbe Bakery for fresh pastries and Kiki-é Mo for green juices and iced coffee. Our first two days were spent lounging at the Shellona Beach Restaurant which is the chicest lunch spot on the island. The decor is beach perfect with natural straw accents, sunny yellow cushions and bleached wood. The music is relaxed and chilled out, and the Greek/Mediterranean cuisine is delicious. The views are gorgeous and the sunset is not to be missed. Be sure to check out their shop, Sunday for cool cover ups, make some time for shell collecting and for those looking for some water activity, reserve a seabob. We spent the last two days at our hotel reading, relaxing and enjoying the peace and quiet. 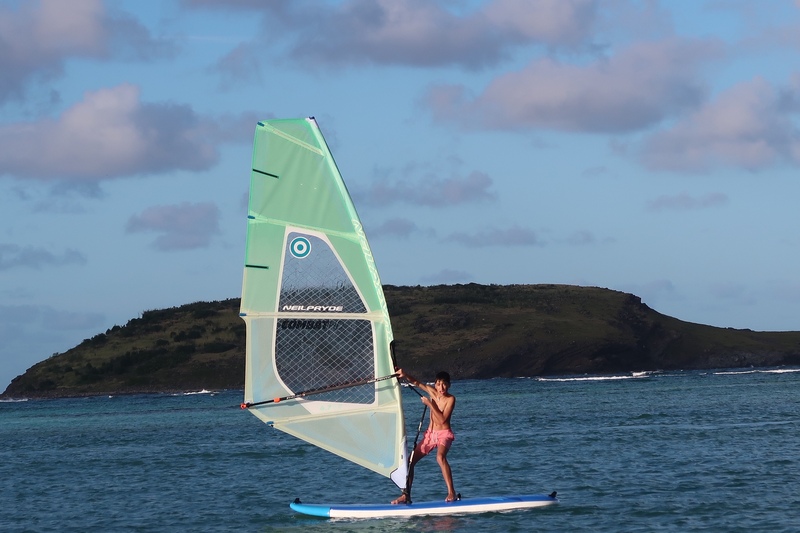 My son particularly loved this beach because they offered water sports and windsurfing lessons. One day after lunch we drove to Nikki’s Beach to meet some friends for afternoon cocktails. More of a party scene than the other beaches. No vacation on this island is complete without walking around the town of Gustavia. It’s always fun to pick up some unique beach clothing and island inspired accessories. Many of the designer boutiques offer exclusive pieces that can only be found in St. Barths. Our favorite spots for dinner are L’isola and La Guerite. Thanksgiving dinner was spent on our friends boat where we were treated to a traditional turkey dinner. Our hosts had us write down something we were thankful for and besides my family of course, I was thankful for not having to prepare the turkey feast. The last night we hit Bagatelle, and the restaurant had great energy with a live Dj and festive entertainment. I appreciated that the staff was so cute and friendly to our son, the only underaged guest. As with most vacations, it’s always one day too short. There is nothing like quality times with the family, even with the occasional bickering. We all returned home with beautiful memories. A special shout out to my travel agents Jack Ezon and Sylvia Lebovich for saving the day. We were originally scheduled to spend the holiday on a sailboat and let’s just say, those plans were shipwrecked. At the last moment, Jack and Sylvia secured hotel reservations and were on call, even after hours. I’ve been asked to share my favorite spots on the island. Please note I’ve only frequented the starred spots. 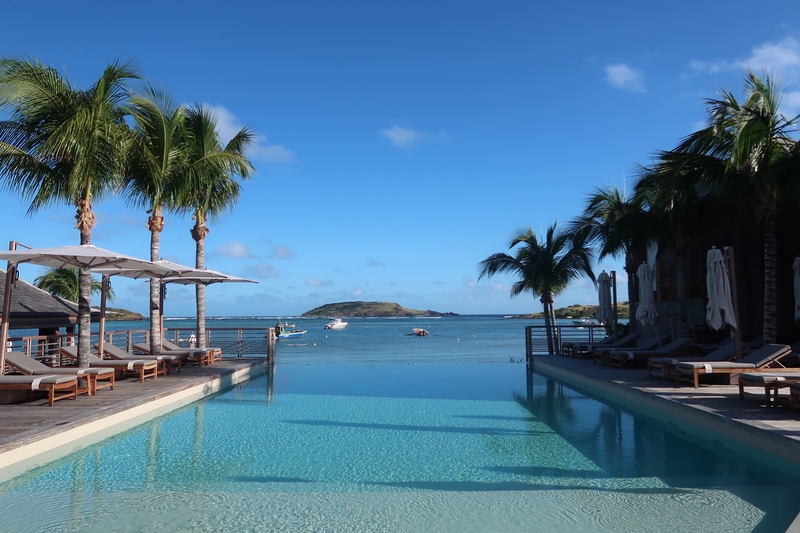 The remaining listings are recommendations that I couldn’t resist adding to my St. Barths travel guide. 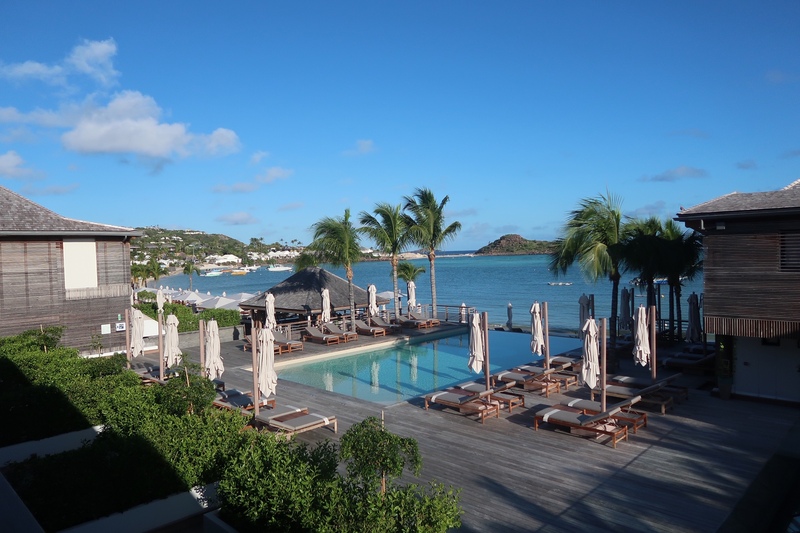 Any items you’d like to add to the St. Barth’s travel guide? Please share below! Thank you! It was a beautiful weekend getaway with the family!